Home Gracefully Global: Adventure. Travel. Fun. Our stories of European adventures, photos, and insider travel tips are here to help you with your own travel adventures, whether it be a weekend getaway or your trip of a lifetime. 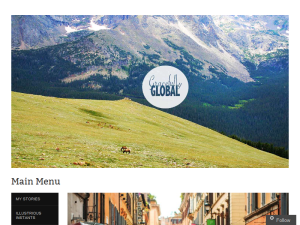 Example Ad for Gracefully Global: Adventure. Travel. Fun. This what your Gracefully Global: Adventure. Travel. Fun. Blog Ad will look like to visitors! Of course you will want to use keywords and ad targeting to get the most out of your ad campaign! So purchase an ad space today before there all gone! Subscribe to Gracefully Global: Adventure. Travel. Fun. Join travel blogger Peggy on her journey through Ireland as she discovers the Ireland's rich connection to music and the many stories it tells. If you are the owner of Gracefully Global: Adventure. Travel. Fun., or someone who enjoys this blog why not upgrade it to a Featured Listing or Permanent Listing?